Back in the days when arcades were a thing, teenagers would gather at arcades and spend the rest of their after-school hours at those machines. Classics like Donkey Kong, Space Invaders, Super Mario and Pac-Man have the ability to turn stern dads into big man-childs relieving their own days of youthful gaming—I know, because I’ve personally seen my dad become one. 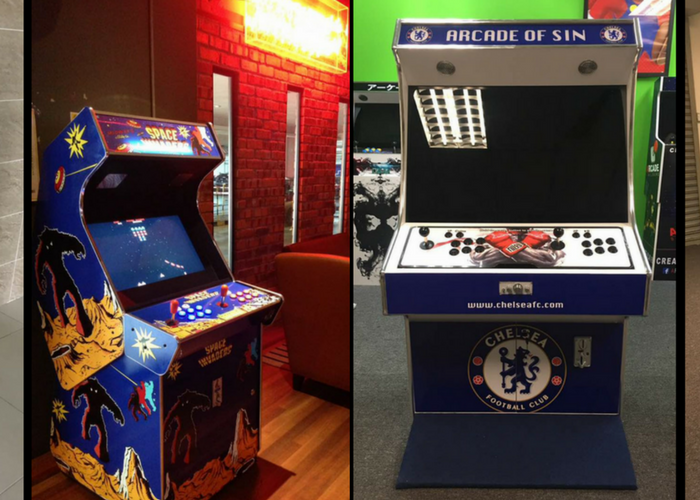 The Solution Builders are going for that market gap and capitalising on the thread of nostalgia by offering personalised arcade machines. 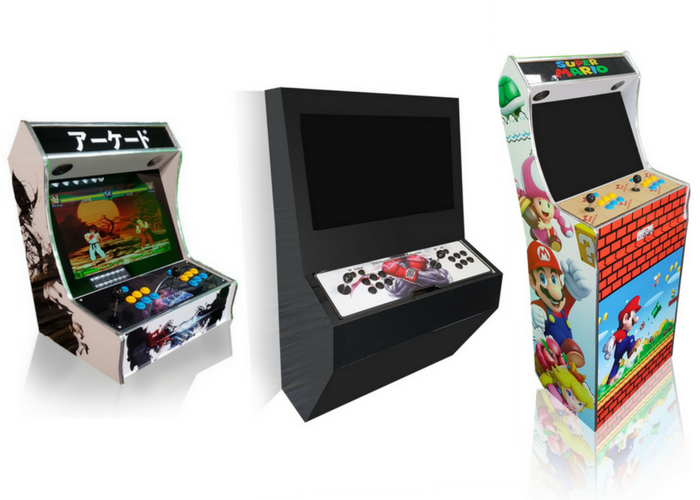 Started by 2 good friends with a shared love for retro games, a thought occurred to them if it was possible to custom design an arcade machine to make it friendly for house or office spaces. 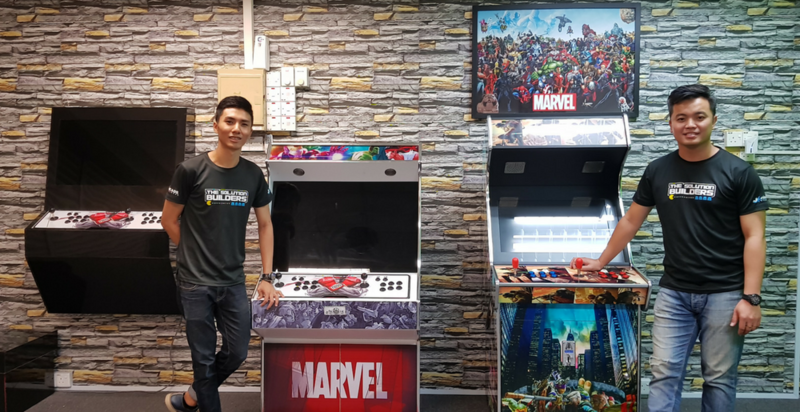 The two co-founders Dave Tioh and Calvin Chew launched it in June 2016 with two categories under their brand—Arcade Builders and Leisure Builders. As you might be able to tell, Arcade Builders focuses on fully customised arcade products that incorporates with a home decor concept based on customer preference. Leisure Builders focuses on recreation and other forms of entertainment like pool tables, vinyl recorders and foosball tables. It also acts as a platform to provide interior design services; customers that desire a leisure corner can opt to have such a space built by proving the size and dimension of the area. 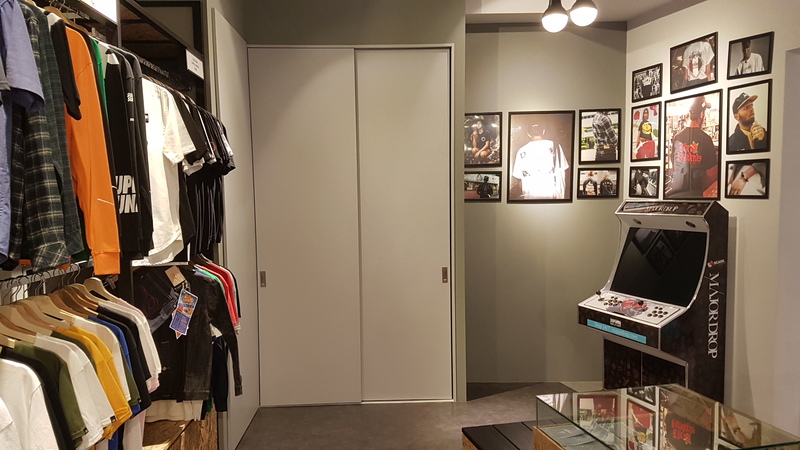 They allow customers to fully customise the arcade gaming cabinet as they wish—some request for a shoe storage cabinet, others prefer mini-fridges for them to grab a quick beer between gameplay. Customers can get the standard machines for between RM2,000 to RM4,000, but prices are determined by the level of customisation. They have over 900 games pre-installed and available. Popular ones include King of Fighters, Street Fighter, Marvel VS Capcom, Super Mario, and Metal Slug. They quit their corporate jobs in an MNC company and started off with savings of RM50k to purchase the stock, and broke even within the first 3 months. Their products seem to be fairly popular amongst corporate and retail companies. Chew revealed a substantial portion of their deliveries are to offices. One can see how this concept would appeal to the millennial office culture, seeing as the games offer a short yet entertaining break from work which is ideal for emphasising efficiency in a fun and fast-paced work environment. They have already sold more than 1,200 units across their own platform and other authorised business partners in KL, Perak and Penang. As the market they are targeting is pretty niche, they have engaged in several promotional efforts and marketing campaigns to expand their reach. Pricing and logistics were few of the mountains they had to cross to step up their game in the industry. Eventually, they plan to implement a 3D Floor Planner on their website. Customers can then use gain a complete visual of the planned layout based on the dimensions keyed in. UPDATE: Since publishing, we’ve received some questions about the legitimacy and legality of the games in the consoles. We put the question to the team, and they replied that the games used are more than 20 years old, and considered license free.